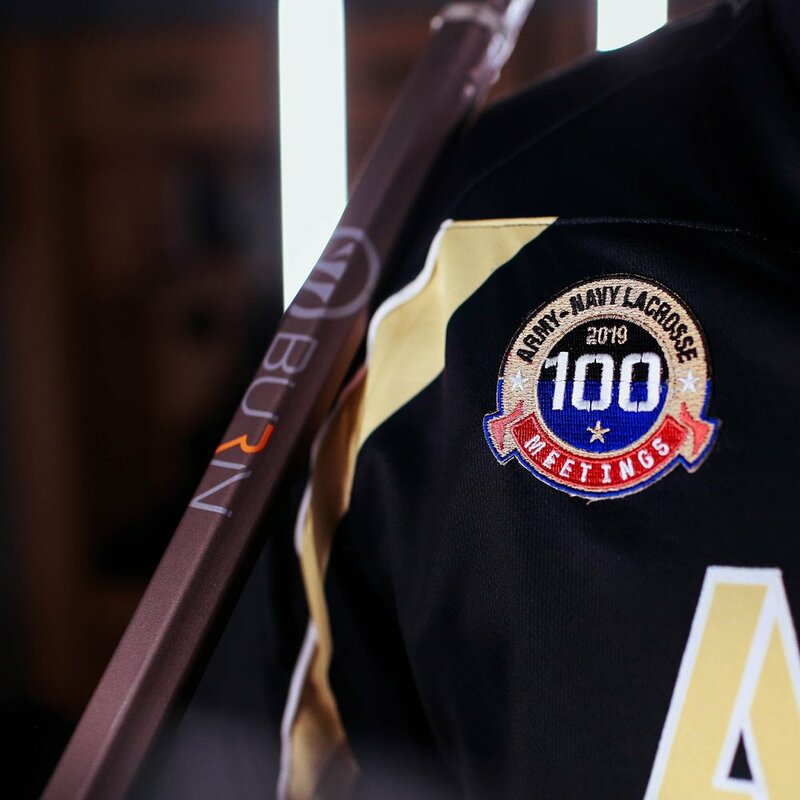 ARMY AND NAVY lacrosse WILL MEET FOR THE 100TH TIME BETWEEN THESE TWO TEAMS ON THE LACROSSE FIELD. 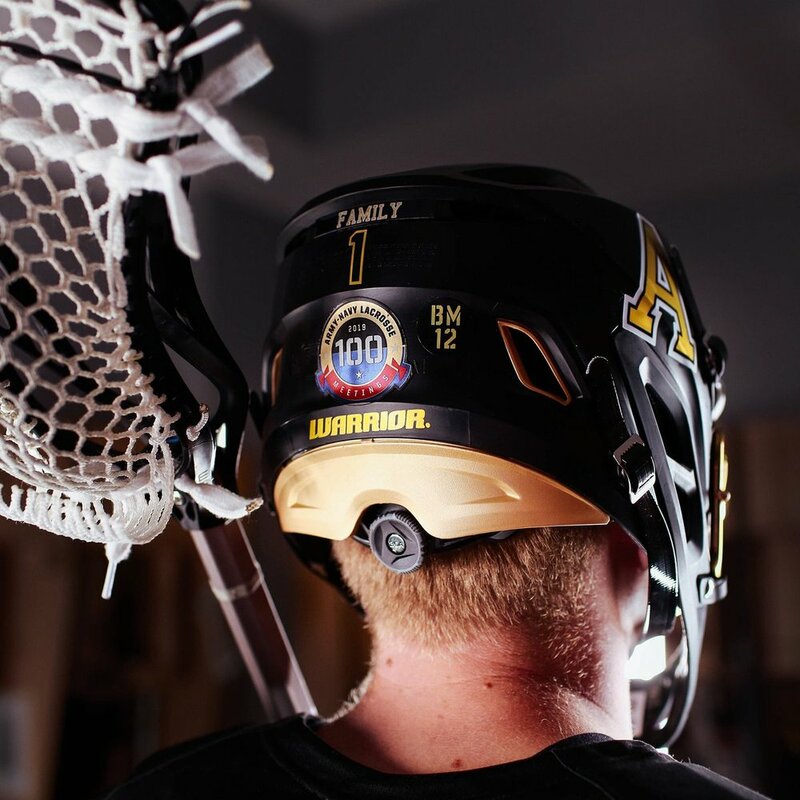 The Black Knights special uniforms will feature a black helmet with the Gold Army A on each side with the special 100th shield. The black jerseys will feature a gold stenciled ARMY across the chest with the 100th shield on the right side. The look is rounded out with black shorts, gloves, and elbow pads. 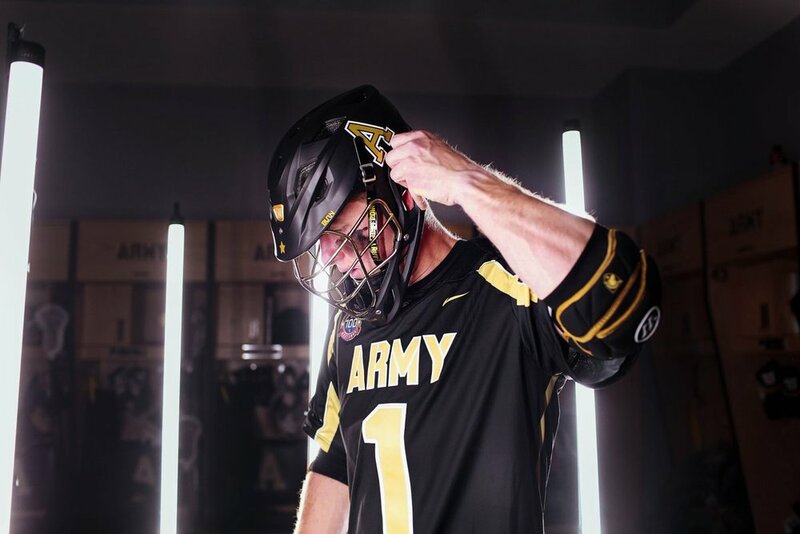 See the special uniforms for Navy Lacrosse Here.